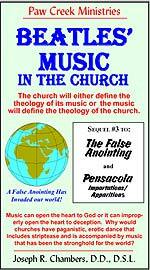 Subtitle: "If people seek the 'tune' (the music's hidden message) then Lucifer will lead them to Absolute Truth." 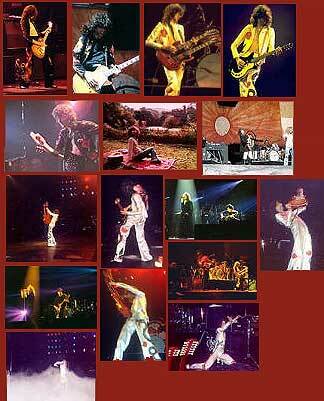 An entire nation has been seduced by these songs, especially The Stairway to Heaven. "Back to the old gods", this Rock Music urges. Written by Tom Friend, author of the book, "Fallen Angel". 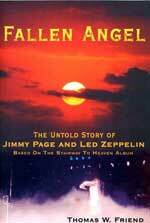 The story of this book is very complex; it is a detailed effort to present to the reader the facts that Jimmy Page and Led Zeppelin boldly propagated the teachings of Black Magician Aleister Crowley and of the satanic, magical cult he founded, the “Argenteum Astrum” -- which means “Silver Star" . The major doctrines of Aleister Crowley’s Silver Star are presented in the most famous and influential songs in the Led Zeppelin catalog -- including Stairway to Heaven. This rock song has repeatedly been voted the most popular song in the history of rock and roll, on both sides of the Atlantic Ocean. To this day, the album with Stairway to Heaven on it sells four to five thousand copies a week in the United States alone. This album has sold a total of over 23 million copies in the United States; second only to Michael Jackson’s “Thriller.” The Stairway to Heaven album is loaded with Aleister Crowley’s bold Luciferian teachings. The worship of Lucifer, in the form of Pan, was a theme through all of Aleister Crowley’s writings. Virtually all of Rock-n-Roll music recognizes Aleister Crowley as the spiritual headwaters from which the lyrics and the antics flow. Edward Alexander “Aleister” Crowley was born in 1875 in England. He was born into a family that was part of a strict sect of evangelical Christians called “The Plymouth Brethren.” Crowley’s father was a prominent member of this sect. He was a preacher who used to travel to evangelize. The Crowley family was also wealthy because Aleister's Dad was also a very successful brewer of alcohol. One can immediately see the obvious, apparent contradiction in being an evangelist of the Gospel and a brewer of alcohol. This was a contradiction that little Aleister didn’t fail to recognize. Nevertheless, Crowley was encouraged by his father to love God and to want to grow in the Christian faith. Crowley was receptive to his father’s guidance initially. He used to love reading the Bible as a boy. He did state in his “Confessions” that he was fascinated by presentations of Satan and the Anti-Christ in the Book of Revelation. Nevertheless, he continued to study the Bible. However, his father passed away when he was eleven years old. His family had placed him in a boarding school run by some members of "The Plymouth Brethren". According to Aleister, this school was supposed to be run by Christians -- they had constant chapel services, and a Reverend. However, Crowley documented that the school was dominated with liars, homosexuals, and a number of other forms of wickedness explained in detail in Fallen Angel. This terrible hypocrisy was enough to turn Aleister Crowley against Christianity for life. Even before he attended this school, he admitted to possessing a love for “the enemies of Heaven” in the Book of Revelation; the events at the boarding school gave him the spiritual "green light" he sought to give himself over to Satan. Aleister Crowley went on to write dozens of books on the occult throughout his life, promoting Black Magic and all forms of spiritual wickedness, including astral projection, divination, rituals, human sacrifice, the Universality of Magick, and practically anything else that would help him achieve his stated goal -- the destruction of the Christian faith. The statement that Christ has a phony crown reflects their belief that Lucifer is god, as taught them by Aleister Crowley. Another thing that Crowley emphasized to his readers was that musicians in Magick would be able to be 'musical mediums'. When speaking of “Stairway to Heaven", Robert Plant claimed to be a 'musical medium'. He said the following about how he received the lyrics to the song: Plant recalled. The word, "pipes" (Strong's #5345) clearly refers to music and to the flute, as we see when we examine the context of this same word in other Old Testament Scriptures. From these verses, you can easily see that God is stating that He created Lucifer as a musical being in Ezekiel 28:13. In much occult lore, the Greek god, Pan, is this musical representation of Lucifer, the god of "pipes" -- the Piper. The worship of Lucifer, in the form of Pan, was a theme through all of Aleister Crowley’s writings. Jimmy Page has always been an open student of Crowley the Black Magician, and Led Zeppelin was his band. Following the teachings of Crowley, Jimmy Page and company were successful in placing his doctrines in many of their songs, including “Ramble On,” “Black Dog,” “The Battle of Evermore,” “Stairway to Heaven,” “No Quarter,” “The Song Remains the Same,” “Kashmir,” “In The Light,” “Achilles Last Stand,” and “Nobody’s Fault But Mine,” just to name a few. In Fallen Angel, you will realize the entire spectrum of occult teachings presented by Aleister Crowley; when combined with other renowned occult authors, you will understand the truth about Led Zeppelin’s worship, and propagation, of Lucifer. These occult teachings are thoroughly refuted by this author, presenting the truth of the gospel, including the Biblical Absolutes of Truth. This book has been written to inevitably glorify Lord Jesus Christ, especially in the heart and mind of the rock fan who needs to receive Christ as Lord and Savior. The evidence is overwhelming, yet factual, with the Word of God presented as the absolute authority for faith and practice. The objective reader, if a Christian, will be thoroughly equipped to witness to the rock culture; and the lost sinner will see and appreciate his need for salvation in our Lord Jesus Christ. 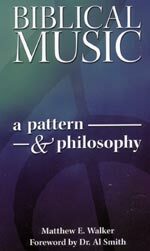 The book demonstrates that the End of the Age is clearly upon us, and that Rock Music is playing the "Pied Piper" to hundreds of millions of people, leading them into a worship of Lucifer. Are you spiritually ready? Is your family? Are you adequately protecting your loved ones? This is the reason for this ministry, to enable you to first understand the peril facing you, and then help you develop strategies to warn and protect your loved ones. Once you have been thoroughly trained, you can also use your knowledge as a means to open the door of discussion with an unsaved person. I have been able to use it many times, and have seen people come to Jesus Christ as a result. These perilous times are also a time when we can reach many souls for Jesus Christ, making an eternal difference.